5 Beds 5 Baths 1 Partial Bath 4,524 Sq. ft. 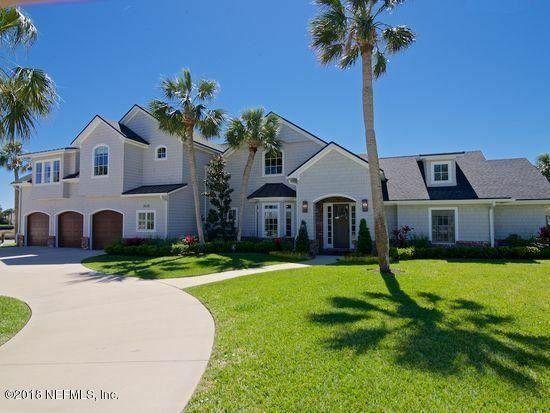 Incredible custom designed by Kevin Grey, coastal cedar shake home on one of the largest & most stunning waterfront lots in Isle of Palms with 45' dock & boat ramp and a floating dock at the end of cul-de-sac. 350 ft. on the water! Gorgeous interior finishes with wood floors throughout. Formal dining room with coffered ceiling. Separate office, 2nd & 3rd bedrooms down & private master upstairs with lux bath, huge walk-in & sitting room with panoramic water views. Gourmet kitchen, very open floor plan all overlooking huge covered lanai with summer kitchen, outdoor fire pit & lavish pool. Charming guest house & huge fenced backyard. One of a kind!